« Slimming Down and Losing Fat May Be Easier Than We Thought! Last Sunday my man and I went to Starved Rock State Park near Ottawa, IL for a much-needed bit of fresh air, exercise and time in nature. 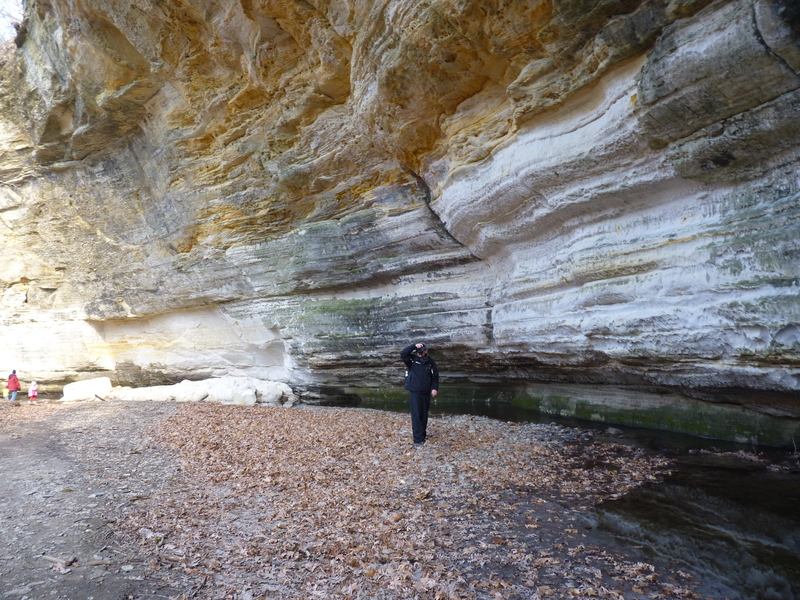 We hiked the Illinois Canyon (Starved Rock has many canyons and this one is the deepest so it allows for much exploring!) on Sunday and saw a few hardy folks with their dogs and walking sticks. Some families treated their bundled up children to the wonders of this canyon along with us. Since it’s been a mild winter, the ground was fairly muddy and the entire area looked ready for Spring. Yet, it’s only mid February so there are still frozen waterfalls and other cold sights to behold. I am posting a short video of water droplets falling from one of the more intricate waterfalls and some pics of the great outdoors. 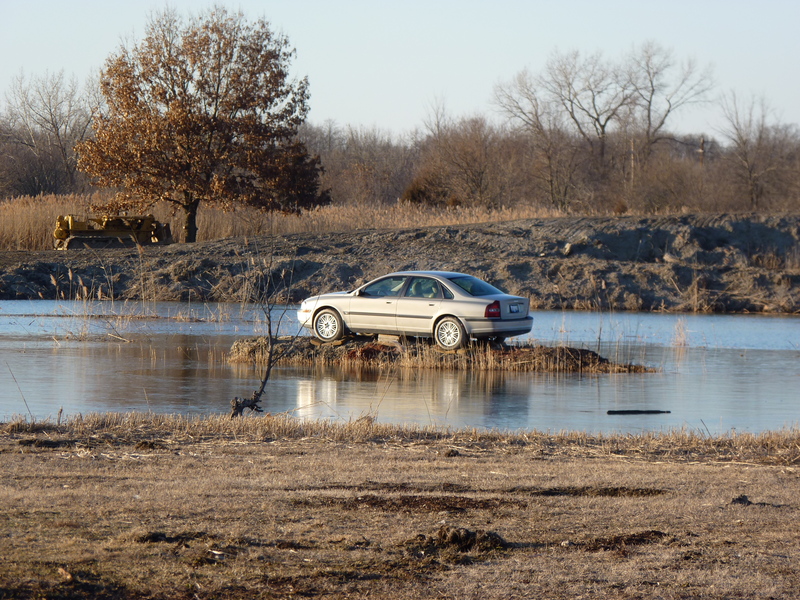 Check it out yourself before the actual spring comes and the frozen water turns the mud into a much stickier mess. 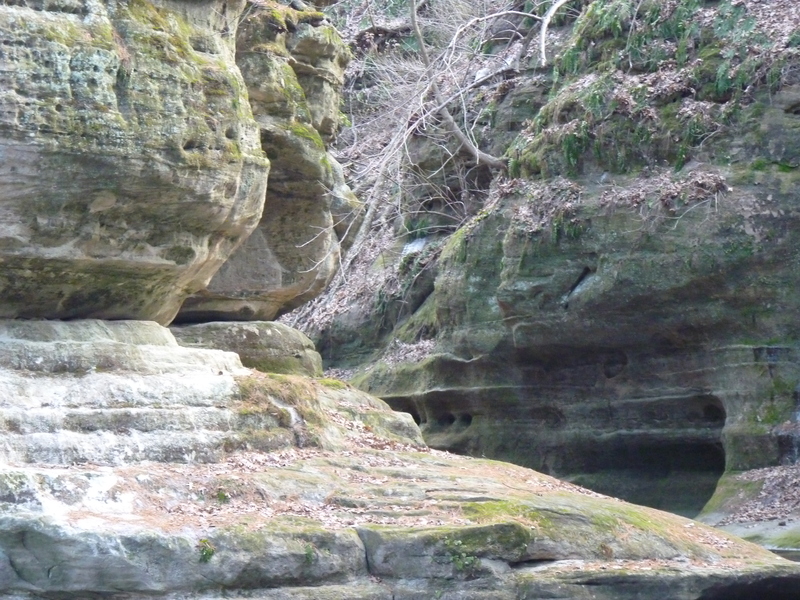 For a map and Directions to Starved Rock click here. 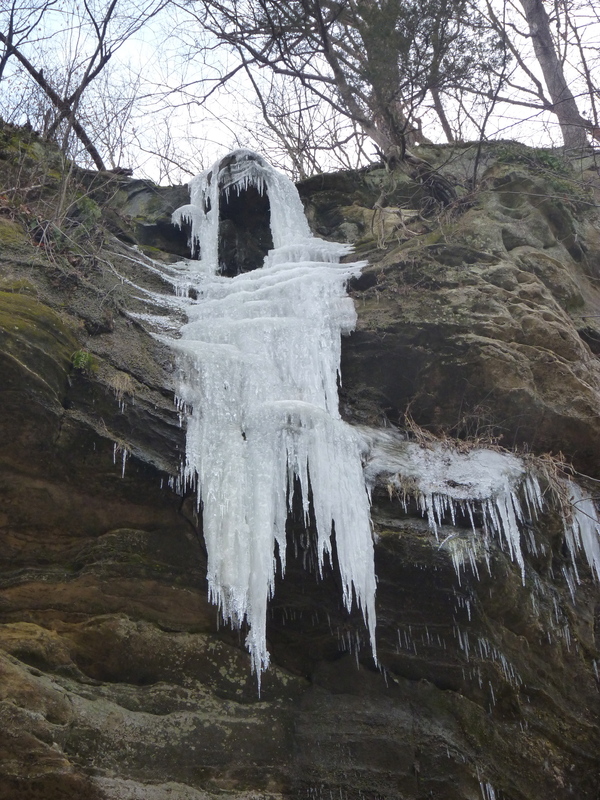 Frozen waterfall at Illinois Canyon of Starved Rock State Park, IL. Image by Sue Shekut. 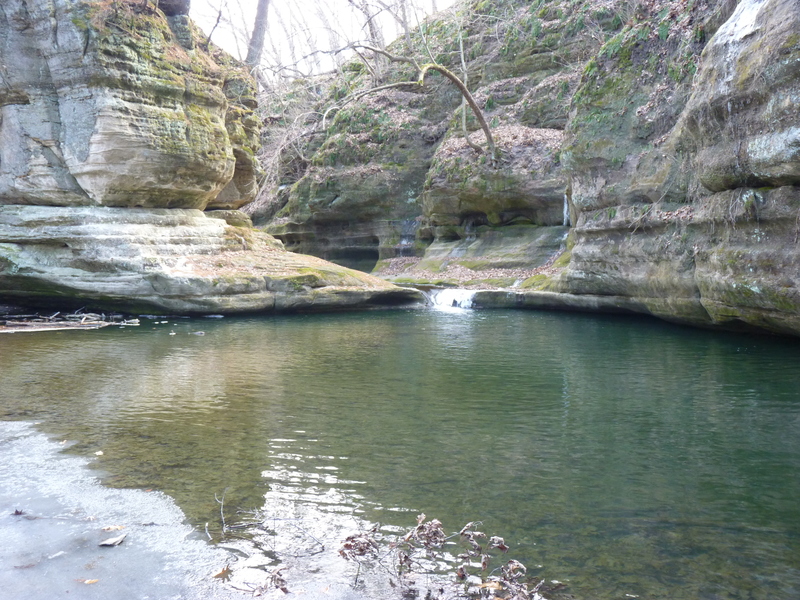 My favorite waterfall and pool in Illinois Canyon, Starved Rock, IL. Image by Sue Shekut. 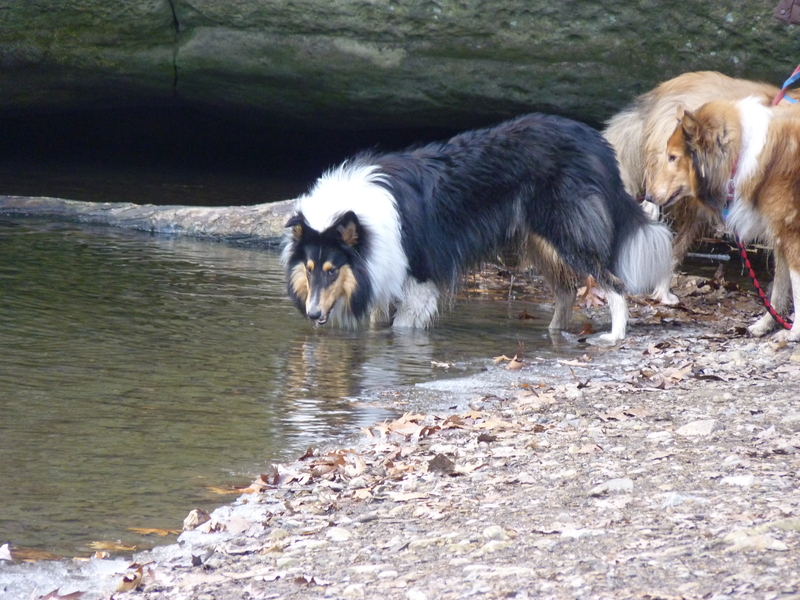 A trio of collie dogs shared the waterfall with us. Image by Sue Shekut. 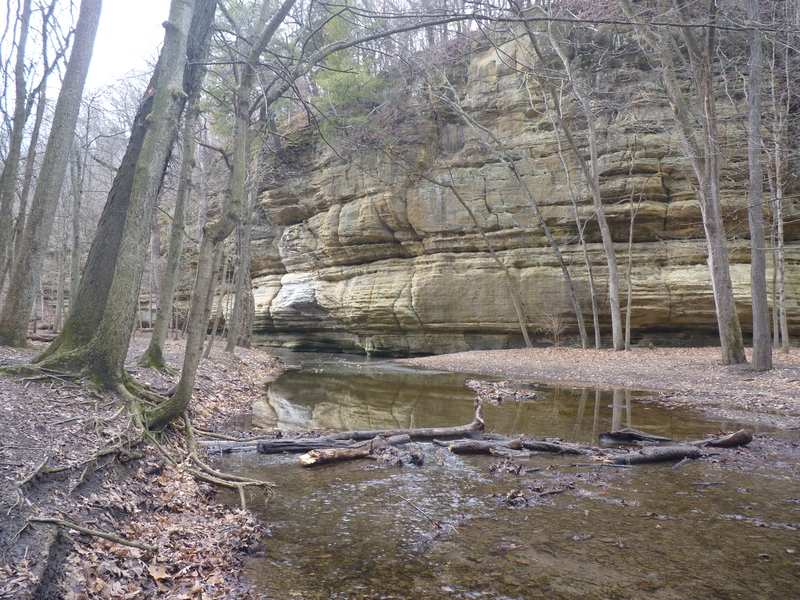 Crossing the streams of Illinois Canyon requires agility and great balance–or you get wet! Image by Sue Shekut.